The Historic Coastal Towns Cottage & Lighthouse Tour in Fenwick Island on Saturday, Oct. 6, from 10 a.m. to 4 p.m., will feature the Wilgus cottage on Maryland Avenue. Born in Belfast, Ireland, John McKelvey immigrated to Wilmington in the beginning of the 20th century. In 1939, he moved to Seaford to work at the DuPont plant. Friends brought him to Fenwick, and he knew right away that he wanted a summer cottage there. He purchased the lot for $100 and built the cottage in 1946-1947. He could have bought the whole block for $500, but as he told others at the time, the block was nothing but sand, filled with sand burrs, and who wanted that! The family put an open tank on the roof to collect rainwater for fresh water and cooked with gas. The wood for the cottage construction came from Fred Magee’s sawmill in Williamsville, Md., which supplied much of the lumber for Fenwick’s original cottages back in the day. The cottage still sits on its original cedar posts. It has never had any storm damage — not even during the 1962 storm — possilby due to the fact the land on Maryland Avenue is a somewhat higher than other areas of Fenwick. 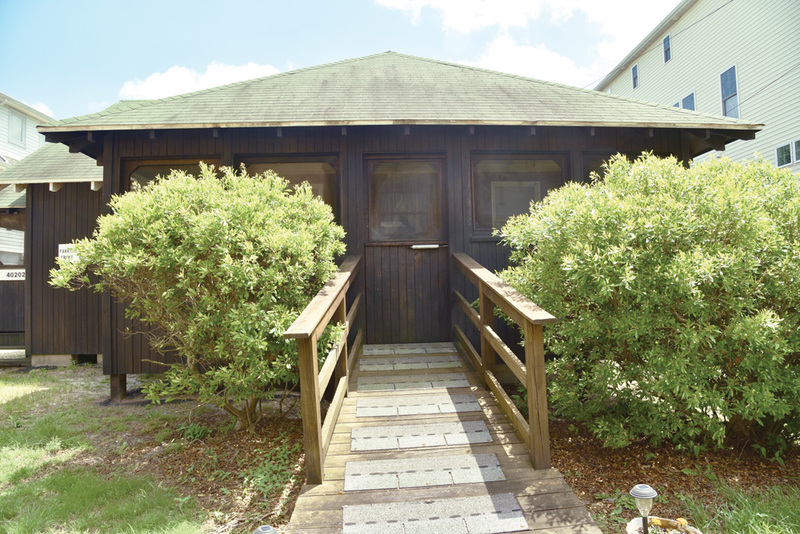 In the 1950s, the family built a second house on the back of the lot, to live in, and started renting the front cottage. When Elaine and Robert Wilgus purchased the cottages in 1978, they blocked-in the foundation, keeping the original posts. They renovated the kitchen and front room, and removed walls to make the open design. By 1978, the house did have a toilet inside, but the only shower was outside. The Wilguses put in the modern bathroom that is in the house today. A limited number of tickets are available for the Historic Coastal Towns Cottage & Lighthouse Tour and must be purchased in advance at Sea Shell City in Fenwick, at Ellen Rice Gallery in Ocean View or at Made By Hand in South Bethany, or on line at www.thequietresorts.com. Tickets cost $25, and proceeds support the creation of a new Coastal Towns Museum at 40 West Avenue in Ocean View. While Fenwick Island homes are open this year, historic cottages in South Bethany will be featured in 2019 to support the developing Coastal Towns Museum.